← Bitesize resources for researchers! English and Creative Writing will be contributing three events to this year’s School of the Arts Summer Show at Avenue Campus. All three events are open to University of Northampton staff members and visiting members of the public. To reserve a place email larissa.allwork@northampton.ac.uk. Dr Charles Bennett, a Reader in Poetry at the University of Northampton will be ‘in conversation’ with Garth McArthur, Learning Manager at the BBC Singers. They will be discussing The Angry Planet, a choral symphony in four movements by Bob Chilcott, which was commissioned by the Bach Choir for performance in the 2012 BBC proms. Charles wrote the libretto for Angry Planet and Garth was a key figure from the planning stages of the Prom until its final performance. Charles will also be appearing at the Althorp Literary Festival on Friday 14 June, and you can catch the premier of his latest collaboration with Bob Chilcott, Five Days that Changed the World, at Worcester Cathedral on Friday 26 July. 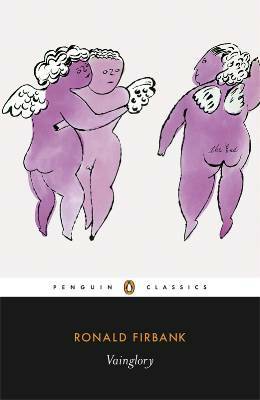 What makes a Penguin Classic? Four years ago, Richard Canning was approached by Penguin Classics to edit a new edition of Ronald Firbank’s groundbreaking Modernist novel Vainglory (1915). He next managed to entice Penguin into also signing up a second title, with a gay theme, the utterly unknown G F Green’s In the Making (1952), which was duly edited by Peter Parker. Both titles were published in the traditional Classics livery, in the US and UK, in 2012. In this talk, Canning describes the challenges and opportunities facing any editor of an overlooked (but classic) work. He addresses the difficult decisions facing an editor, such as determining which text(s) to use, what editorial material to supply, including Introduction, Chronology and Appendices, and how to advise the publisher about marketing strategies, the appearance of the book, and promoting the title effectively once published. He will reveal the grotesque truth concerning “outsourced” (non-UK) copy editing, pay scales and royalties arrangements and editor-publisher relations. Additionally, he invites us all to reflect on how we define “classic literature” in the twenty-first century context of an unstable canon, dramatically changing forms of readership and types of readers, as well as mass discounting, e-book editions, print on demand and more. This talk does not require any familiarity with Firbank’s writings, or indeed with modernist fiction generally. It is devised with all readers in mind, and especially all those who have wanted to edit a literary classic, or to learn about the experience of doing so. For over a decade, Alan Smith was a teacher of philosophy and literature in a Northamptonshire Category C prison and in 2001 he started writing columns about his extraordinary experiences for The Guardian in the series Philosophy for Prisoners. Alan will talk candidly about his experiences, and will be joined by Prison Project Manager at the Anne Frank Trust, Steve Gadd and Writer-in-Residence at HMP Leicester, Alistair Fruish. Posted on June 7, 2013, in Events, School of the Arts and tagged Alan Smith, Angry Planet, Charles Bennett, literature, music, Penguin, prison, Ronald Firbank. Bookmark the permalink. 2 Comments.